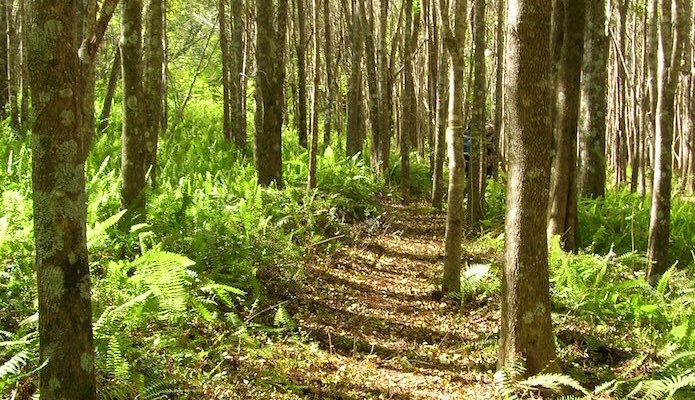 The Valley Isle Road Runners, the premiere running group on Maui, recommend this 5.7 mile forested route that they say is reminiscent of the Pacific Northwest. With heavy leaf color, this route provides enough shade to stay cool on hot Hawaii days, and the pine needle dusted path offers a springy surface your joints will love. Start at the parking lot and follow the entry trail through the gate until you reach an intersection. Take a left onto the West Loop for a challenging ascent up a series of switchbacks. At the pinnacle, you will find a sign marking the East Loop. Enjoy the view for a moment and then descend on the East Loop. While there are other meandering side trails along the way, the main route is obvious and easy to follow. Note: This is a hilly run. Basically up and then down, grades of 6-8%.